The debut gives Tilray, the first marijuana company to stage a successful IPO on a U.S. exchange, a valuation of approximately $1.4 billion. British Columbia-based Tilray’s stock soared Thursday in the company’s first day of trading after it became the first marijuana company to complete an initial public offering in the U.S. The company, which is majority-owned by Seattle-based Privateer Holdings and trades on Nasdaq under ticker symbol TLRY, closed up nearly 32 percent at $22.39. Tilray offered 9 million shares priced at $17 each, and more than 11.9 million shares changed hands Thursday. Kennedy, who is also one of Privateer Holdings’ three founders, said the company plans to use some of the proceeds from its IPO to increase production capacity across its facilities in Canada and Portugal. Some proceeds will also be used to repay Privateer, which owned approximately 83 percent of Tilray prior to the IPO. 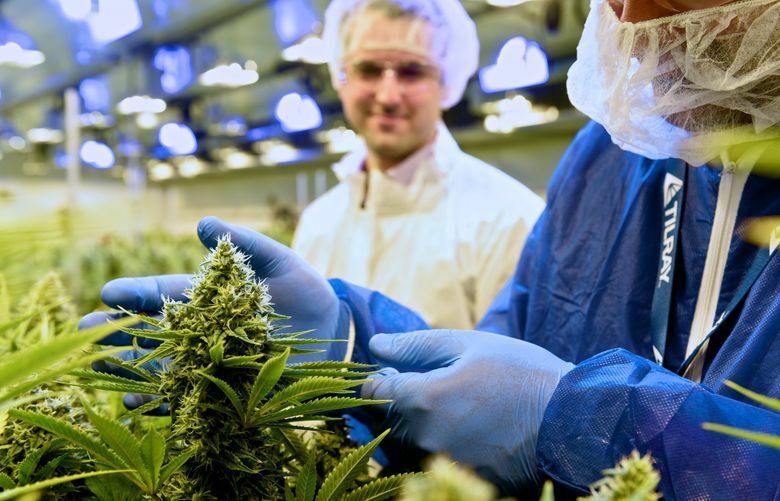 With a valuation of approximately $1.4 billion, Tilray’s successful IPO could mean a substantial return on investment for Privateer Holdings. The firm has put more than $30 million into the marijuana company, according to Tilray’s prospectus. Kennedy said the total investment is higher but hasn’t been disclosed. Kennedy said Tilray has no plans to operate in the United States, where cannabis is still illegal under federal law despite an increasing number of states that have legalized the drug for recreational and medicinal use. In an interview with the Associated Press, New Frontier Data analyst John Kagia said Tilray’s successful IPO could boost credibility and confidence in the marijuana industry. However, Kagia added, many analysts are concerned that excitement around the newly legitimate industry may lead to some companies being overvalued. Kennedy said listing the company on a major U.S. stock exchange was a key step in wooing many institutional investors who had never invested in the marijuana industry before. Derek Hall: dhall@seattletimes.com; on Twitter: @dereknhall.